Dan Soto was appointed chief compliance officer of Ally Financial in October 2010. In this role, he is responsible for leading the company’s compliance efforts in line with applicable laws, regulations and company policies. Soto joined the company as executive compliance director and Bank Secrecy Act (BSA) compliance officer in September 2009. In this role, he was responsible for Ally’s anti-money laundering (AML) and deposit compliance activities. Before joining Ally, Soto held a number of compliance leadership roles within the financial services industry. Most recently, he worked as the AML executive and compliance manager at Wachovia/Wells Fargo. Previously, he served as chief compliance officer for Royal Bank of Canada-Centura and the global AML compliance executive at Bank of America. He also served as a bank examiner with the Federal Deposit Insurance Corporation and the Board of Governors of the Federal Reserve System. At the Federal Reserve, he helped develop its AML compliance examination procedures. 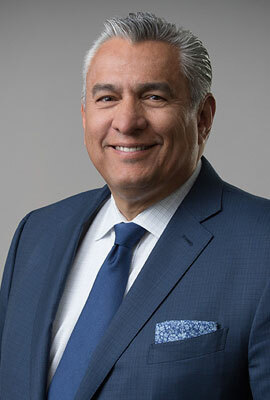 Soto has a bachelor’s degree in accounting from the University of Nebraska and attended the American Bankers Association’s (ABA) Stonier Graduate School of Banking at the University of Delaware. Soto serves on the board of the North Carolina Council on Economic Education, an organization that aims to enhance and advance economic and financial education for K-12 educators and students of North Carolina. Soto also serves on the advisory boards of the Association for Certified Anti-Money Laundering Specialists (ACAMS) and the BSA (Bank Security Act) Coalition, and he serves on the faculty for the ABA’s National Compliance School.